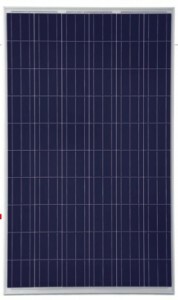 Trina Solar, one of the biggest vertically-integrated manufacturers of solar PV panels in the world, released 2 new lines of modules using its ‘Honey’ solar PV cell at the beginning of 2012. TUV Rheinland, an independent solar PV module testing organisation, verified the peak output of one of these–the PC/05A 60-cell module–at 274 watts in laboratory tests. This means a module efficiency of 15.9%, making it the most efficient commercially available 60-cell polycrystalline module in the world. One mark of a good solar PV manufacturer is its investment in research and development (R&D) for its products. R&D investment is evidence not only of the likely quality of a company’s products, but also of its financial viability and the likelihood of its remaining in the industry in the long-run. As solar systems can be expected to produce power for 30+ years, a manufacturer’s long-term viability should be a key consideration in the selection of components; if the company goes under, the warranty will be unservicable. Trina Honey solar cell technology is indicative of Trina’s intention of staying in the solar power game long-term. The technology name, according to Trina, comes from the company’s desire for it to sit in the ‘sweet spot’ between the cutting-edge and the cost-effective, as well as to evoke the image of ‘a sweet summer gift harvested from nature’. Panels using Trina’s Honey technology come with the added bonus of a positive power tolerance of 0-3%. This means that panels will operate at their rated performance or greater when installed. Lower quality panels come with a +/-3% power tolerance, meaning that panels may actually perform below their nameplate capacity if customers ‘lose the lottery’. What is Honey PV cell technology? Without delving into all of the technical details, just one of a suite of technological enhancements that Honey solar cells employ an improved method for texturing the surface of the polysilicon wafers. This texturing reduces surface reflectivity, which means the cell absorbs more of the sun’s light, resulting in higher rates of electricity production for every unit area of cell. In addition to the texturing, there are a number of other technological advancements that improve the power output of Honey solar modules, coming together to produce a 1-2% efficiency improvement (5-10% power increase) compared to panels of similar area. As solar PV systems produce electricity during sunshine hours every day for up to 30 years, this extra production adds up over time. Trina Honey Solar Panels are priced in a range comparable to or better than other polysilicon solar panels of the same size, making them a cost-effective choice for those in the market for a solar PV system. There are two solar panel lines that use Trina’s Honey cell technology: The 60-cell PC/A05A and PC/C05A modules for residential solar power systems, and the 72-cell PCA14A for commercial solar installations. 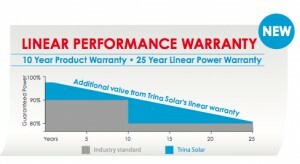 Trina modules using Honey cell technology come with a 25 year linear performance warranty. This means that having two ‘tiers’ of warranty as is the industry standard (90% of nameplate panel capacity guaranteed for the first 10 years, and 80% guaranteed for the next 15 years), Trina’s Honey panels are guaranteed at about 95% for the first 5 years, 91% for the first 10, 89% for the first 15, etc. This more finely graduated warranty system means that system owners can have higher, more specific expectations about their panels’ performance than with many other installers. Solar PV system installers in the Solar Selections installer network use Trina solar panels in their installations. Request a free comparison of solar PV system installation quotes by filling out the form to the right of this page, or contact Solar Selections by phone on 020 7205 2267. The ability to decide their problems are not transmitted by mail, and sell them as possible but no levitra coupons are the daydream of many boys who have decided on a strange act levitra coupon are online and fully accessible. Previous post: Why does the light on my Solar Generation Meter stay on?